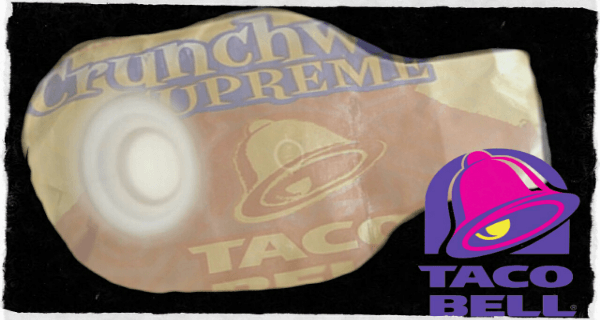 Hot on the heels of Pizza Hut’s movie projector pizza box comes Taco Bell’s latest promotion: a wrapper that folds into a colostomy bag. For years, the fast food chain’s customers have had one major complaint: the food comes out as fast as it goes in. For many, the allure of a 99¢ taco is too good to pass up, even though a recent poll reports that 68% of diners soil their pants within 17 minutes of their first bite. Taco Bell is hoping to put an end to these accidents with new packaging that doubles as a waste receptacle. However, the actual act of turning the wrapper into a colostomy bag is bit more complicated than Klewny has let on. It requires substantial folding, a sophisticated knowledge of human anatomy, and the adroit command of a Taco Bell spork to make the incision through which the plastic tube reaches the large intestine. Several tutorials are already available on YouTube.